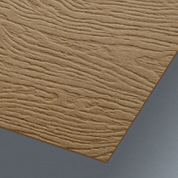 Add sensuality to your brand, with a raw and unmistakably original wood grain card. 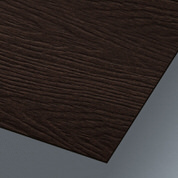 Australia’s most dynamic variety of textures, patterns, natural tones and thicknesses. Take a walk through our woods today. This collection of rustic designs is one of the most powerful ways to mark your territory. Keep in sophisticated style with a supreme textured paper stock or add a striking laser cut logo hollow to pronounce your brand loud and clear. Your small slice of masterful marketing will leave a lasting impression with earthy wood detail and your choice of our award-winning print finishes; quality foil pressing, letter pressing, die cutting, embossing and custom sizing. Be transported to the forest with the incredible wood grain textured forest found stock. Choose from the sleek 250GSM (14PT) thickness, or a heavier 310GSM (19PT) weight. 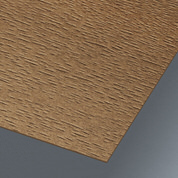 The stock is available in four unique timber colours. We recommend using laser cutting to cut out your logo to create a distinct and unforgettable design. Forest Hound / Stock: 310gsm / Size: 90mm x 55mm. This stock takes natural, earthy design to a new level. Choose from three realistic textured wood colours. 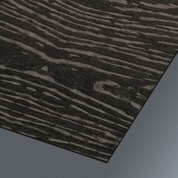 Grace your hands on the distinct wood grain textures of the wood land stock. Available in 300GSM (17PT) or 120GSM (3PT) thickness. Match with hot stamp foiling for a sophisticated touch. 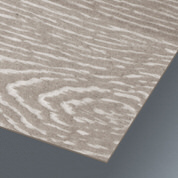 Wood Land / Stock: 300gsm / Size: 90mm x 55mm. 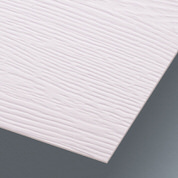 The woodpecker textured stock comes in 250GSM (16PT) thickness. This stock has a timber style grain as opposed to the tree trunk textured grain found in other stocks. Six types of unique timber colours to choose from. Inktank recommends matching this stock with lustrous hot foil stamping. Wood Pecker / Stock: 250gsm / Size: 90mm x 55mm. Taylor Swift may be asking if we are out of the woods yet, but this outstanding wood grain stock will make you want to stay in the woods! The stock comes in a steady thickness of 420GSM (24PT). Add laser cutting for jaw dropping result, and add metallic foiling to help your message stand out. Into the Woods / Stock: 420gsm / Size: 90mm x 55mm.